On a recent hunting/camping trip to Humboldt and Elko counties, my son, John, and I had a remarkable closeup experience with a group of the elusive pronghorn antelope abundant in the area. It is rare to approach very close to these beautiful animals, so this was a special treat to see them and their activities up close. After camping for two days on the shore of Willow Creek reservoir in Elko County, we decided to return home, since the deer habitat in the area was in such poor condition due to recent fires which had devastated the area. We were traveling south between Midas and Golconda through a portion of the range that had been turned to scorched earth along the east side of the highway. On the west side there was the yellow grass from BLM revegetation operations. During our trip through the mountains and desert country, we had seen many groups of from one to thirty or more pronghorn antelope running in the distance. It seems they always see us long before we see them, since their eyesight is so remarkable. Suddenly, a small group of three antelope does dashed across the highway directly in front of us. They immediately stopped and looked back across the road where they had left two fawns behind. We stopped the truck with the camper to get a look at the animals. We noticed that the two fawns were still behind the barbed wire fence alongside the highway. Pronghorn antelope do not jump over fences like deer do, but rather, they prefer to crawl under the bottom wire of the fence. Crawling under the wire of a fence was obviously not a skill the fawns had yet learned, since they just paced nervously back and forth waiting for the does to come back to rescue them. Amazingly, the does ignored us, parked just a few feet away and dashed back across the highway to rescue the fawns. After a few minutes of encouragement from the mature does, the fawns figured out they had to crawl under the wire and join the does. The tiny heard then galloped back across the highway and took off through the tall grass. The need to rescue the fawns overpowered any fear the does may have had of us parked in the highway just a few feet away. Their maternal instinct saved the tiny baby antelope from abandonment. We can be sure the fawns will know what to do the next time they need to cross a fence. The BLM requires that all fences in antelope habitat have a bottom wire high enough for the antelope to scurry under. This obelisk memorial now stands in remembrance of past patients of the Nevada State Asylum who were buried disrespectfully. During the past several years, I have written several articles about the plight of the historic cemetery located at the old Nevada State Asylum in Sparks, Nevada. Many of Nevada’s old cemeteries have long existed in a state of neglect and abandonment. Most of them have little to mark the graves of the long departed pioneers but a few grave markers of wood or stone. Unlike many of these historic cemeteries, the one at the old Nevada State asylum has not a single grave marker left to identify the graves of at least 767 and possibly as many as 1200 former residents of Nevada whose remains are buried there. During the years from 1882 to 1949, many of the patients of the old insane asylum who happened to die there were buried on the grounds of the hospital. What started out as a neat and orderly graveyard eventually became little more than a mass grave where the hundreds of deceased patients were buried in a haphazard fashion with some actually being buried one atop another. These burials were often done by other patients of the hospital. Conditions deteriorated during the 1940s when a large pipeline was installed through the cemetery and several of the graves were ripped apart and the remains were later shoved back into the excavation to become backfill. As a small child, I was witness to this and other desecrations. When 21st Street was constructed in 1977, several graves were accidentally dug up and had to be reinterred inside the cemetery boundary. The City of Sparks constructed a kiddie park atop part of the cemetery and uncovered even more remains. Recent excavations on 21st Street in 2010 uncovered at least four sets of remains which were eventually released to me to be reinterred near the new memorial marker. In my book, Chronicles of the Comstock, I tell about several former residents of the Comstock who were patients of the asylum and were buried in the infamous old cemetery. Perhaps most recognized of these was Mrs. Piper, wife of John Piper, who built and operated Piper’s Opera House in Virginia City. Many of these people had become insane from causes related to the difficult living conditions experienced by the miners, mill workers and other people living on the Comstock. On March 28, 1949, The Nevada State Legislature abolished the use of any cemeteries located on the Hospital Grounds. During 1947 through 1949, 18 patients had been buried in a small strip of land about 300’ west of the historic cemetery. There was never any provision made by the State to improve the two cemeteries until an organization known as the Friends of the Northern Nevada Adult Mental Health Services Cemetery, led by Carolyn Mirich, approached the Nevada State Legislature. Due to the persistent efforts of this group during the 2009 Legislative session, Senator Bernice Mathews and Assemblywoman Smith sponsored SB 256. 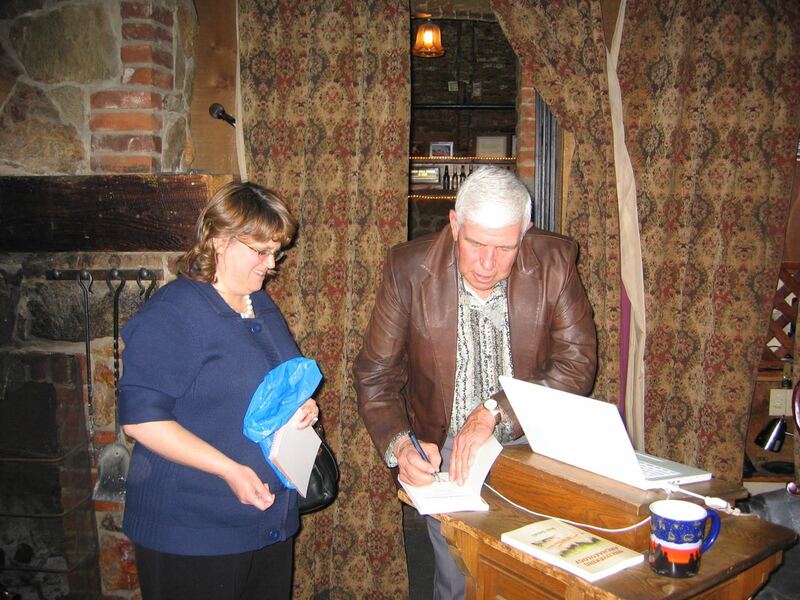 The bill was passed and signed into law by Governor Gibbons on May 22, 2009. As a result of this legislation, the hospital cemetery achieved the status as a historic cemetery. The Nevada State Public Works Board prepared plans and several contracts were awarded to make major improvements to the long-neglected cemetery. The entire perimeter of the historic cemetery was fenced off with a substantial black iron fence. The playground park that the City of Sparks had built was dismantled and turned into a memorial park. A concrete plaza with sidewalks and new lawn areas was built. 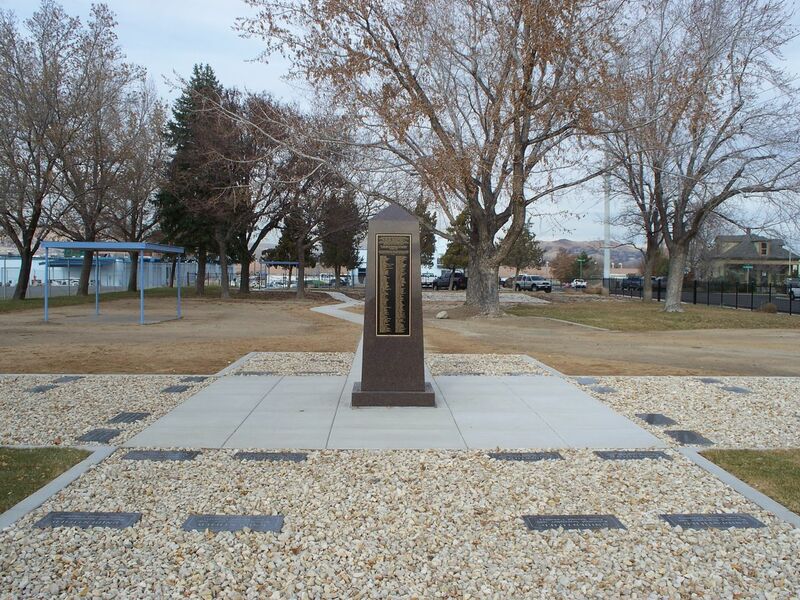 A 9’ tall granite obelisk memorial marker was installed with bronze plaques on each of the four sides. The plaques contain the names of 767 people known to be buried in the cemetery. This single marker is the only marker to memorialize the hundreds of people buried there. There is evidence there may be up to 400 others whose names remain unknown. Cassinelli Landscaping and Construction was employed to exhume the 18 graves buried west of the main cemetery and reinter them near the memorial plaza. Unfortunately, the name plates on these graves had been placed some time after the burials were made. The archaeologist we employed to help identify the remains was unable to positively identify the remains as those of the persons named on the markers. I was also given four sets of unidentified remains that had been accidentally dug up during recent reconstruction of 21st Street. All the remains were placed in new caskets with liners and reinterred in the area surrounding the plaza and grave markers were placed over them. All the work authorized by the legislation has now been completed. A rededication ceremony was held at the Historic Cemetery at Northern Nevada Adult Mental Health Services on January 21, 2011. After many years of destruction and neglect, the hundreds of Nevada citizens buried there will now receive the respect and memorialization they deserve. 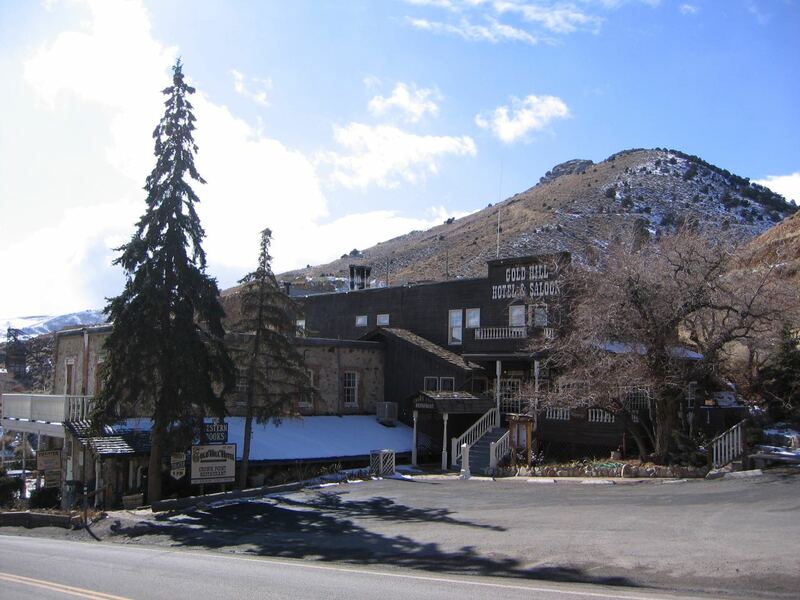 Dennis Cassinelli, award-winning Nevada historian and author, will present a lecture at the Gold Hill Hotel on Thursday, April 7. Topics of discussion will include Dayton’s petrified forest that was mentioned by Mark Twain in Chapter 26 of Roughing It. Samples of this petrified wood, including black pieces that Twain believed were coal, will be shown. Another topic will be the discovery of the oldest petroglyphs (14,000 years) ever found in the Americas discovered at Winnemucca Lake. Dennis has created many pieces of petroglyph yard art which will be on display and offered for sale. For this event, all of the books written by Dennis Cassinelli will be signed and offered for less than half price. These include Preserving Traces of the Great Basin Indians, Uncovering Archaeology, Legends of Spirit Cave and Chronicles of the Comstock. For more information, please visit the Gold Hill Hotel’s events page. Be sure to call early for room reservations. I'm the author of four books on topics that range from American Indian stone tools to the Great Basin to the history of the Comstock Lode. I also wrote a weekly history column for The Comstock Chronicle, a community newspaper serving Virginia City and nearby areas. I grew up on a working ranch in Sparks, Nevada, and worked many years for the Nevada Department of Transportation. I also operated my own business, Cassinelli Landscaping and Construction, which is carried on today by my son, John. I've always had a keen interest in archaeology, anthropology and Great Basin history -- as well as exploring the vast beauty of the Great American Desert.